and Aid, senior citizens activities, budget counseling, Volunteer Income Tax Assistance and recreational activities. (SWAP), Material Center/Food Bank, Weatherization Assistance Program (WAP), and Housing Counseling. as well as referrals to other local agencies that may be able to assist. income, predatory lending, saving for the future and asset building. immigrant neighbors have the opportunity to live and work in our community. persons who lack the basic necessities of life and we strive to assist with those needs in such a manner that respects their dignity. - Services: Utilities Assisantce (water not included); Utility must be on, but you MUST have a "Cut-Off Notice" from utility company. - Community Development is both a process and a program. stimulate community interaction, and bring groups together to respond to a wide range of economic development, human resource development and quality of life issues. so that individuals and employers can make informed choices about their needs. - Provides senior citizens with clothes, coats, blankets, space heaters, window units fans, and even food. 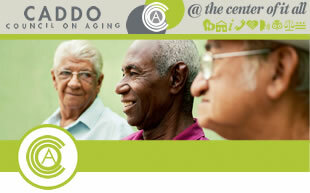 - We will use monetary donations to help senior citizens buy a prescription drugs. - Help with the electric bill for those who are are unable to pay it. - Independent Living Center and Personal Care Service. - Provides disaster services, health and safety services, first aid training, CPR training, and related assistance. homeless men, women, and families with children. Hours: Monday Thru Thursday: 8:00 am - 4:00 pm. - Limited utility and rent (need cutoff notice). a listening ear, a caring heart and a helping hand. Volunteers from each of the Corps visit in their areas.